The practice of leaving coins with the deceased dates back to the ancient Greeks, who believed the rivers Styx and Acheron separated the living from the dead. A ferry trip was required to cross these waters, otherwise the soul of the deceased would be forced to wander the river banks for 100 years. 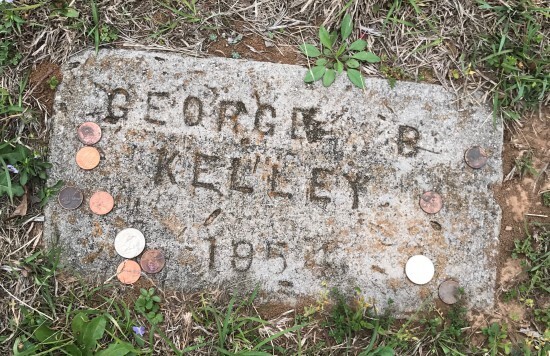 These days, coins may be found on just about anyone’s grave, but I see them most often on the graves of historic figures, especially criminals, such as the notorious “Machine Gun Kelley.” Perhaps, even now, we worry that criminals and outcasts may need assistance in the afterlife. That said, the main purpose for leaving coins on a grave simply appears to be a way of letting others know this person is still remembered. A modern urban legend, however, one that first began circulating the internet around 2009, claims that when coins are seen on military headstones, the different denominations mean very specific things – not just remembrance. A quarter, for instance, allegedly means you served in the same unit as the deceased, or (according to another online source) a quarter means you were present when the deceased lost his life. 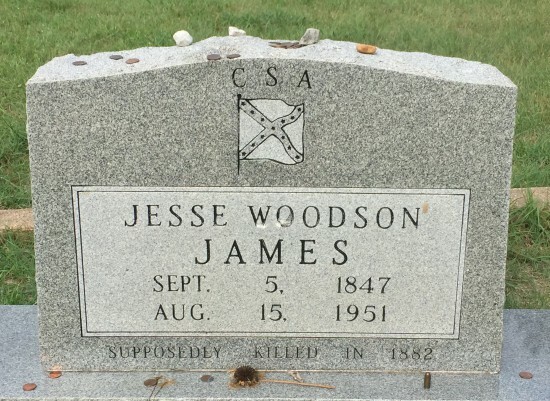 While researching Understanding Cemetery Symbols, however, I was unable to find any reference to the origins of this practice. I finally turned to snopes.com, a website that specializes in alerting people to urban legends, to help me sort things out. Turns out that this is a modern myth. Of course, you still may find coins on a military headstone, just as you may find them on anybody’s headstone. I merely want to clarify that the practice of having different coins to signify specific things on military headstones is a recent idea and not a longstanding practice. That said, items ranging from stuffed animals and photographs to military medals and coins frequently appear in American military cemeteries. While that whole urban legend is one thing, there actually is something called a “challenge coin” that may be left by military personnel on a headstone. Challenge coins are non-monetary metal tokens that some military units provide in order to promote morale. These tokens may be inscribed with a soldier’s unit or other identifying information. Like other grave goods, a challenge coin may be left on a military headstone. Want to learn more about cemetery symbols? BLOG POSTS: Click here to read a whole bunch more blog posts about historic graveyards and cemetery symbols. I’m constantly adding new content here! READ MY BOOK: Check out my book, Understanding Cemetery Symbols. It’s available on Amazon in paperback and ebook form. Want a FREE Guide to Historic Cemeteries?